Having seen PSG dumped out of the Champions League to Manchester United, some are speculating that Mourinho could be set for a move to Paris to replace Thomas Tuchel, but only if the German coach fails to win Europe's showpiece tournament before 2020. For many, a return to England looks very unlikely. It is difficult to picture Mourinho settling at a third club, particularly after his previous three spells with Manchester United and two famous stints with Chelsea. Mourinho will always be a legend to those at Chelsea having guided the club to their first ever Premier League title and then again returning to Stamford Bridge for a short-lived era that would see the club again win the league title. A surprising journey to Man Utd followed and in Mourinho's first season at Old Trafford, he would help the club to a treble. However, one thing has dogged Mourinho on his journey around Europe, and that is the eventual controversy that would follow him to almost every role that he has taken. At Real Madrid, there was the famous Mesut Ozil disagreement. At Chelsea during his second spell, a famous incident with a female physio. At United, he seemed to lose the dressing room and had been captured on camera arguing with club record signing Paul Pogba. 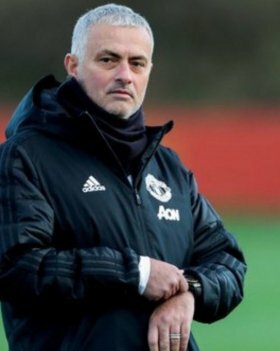 In the next role that Mourinho takes, he will be seeking a job that guarantees him some level of control over the dressing room. With the likes of Neymar within the squad, you question whether Paris St Germain would be the right move for Mourinho. Jose Mourinho, in speaking to BeIN Sports during March 2019, informed reporters that he would be seeking a return to management during the summer: "I want to return this summer. I know exactly what I don't want, which is why I have already turned down three or four offers. I also know what I want." One thing is for certain and that is Mourinho has plenty to be proud about in his managerial career so far. Famously leading Porto to a UEFA Cup in 2002, followed up with a Champions League title in 2003 and perhaps equally impressive was Mourinho's 2010 Inter Milan European Cup victory. A quick peruse over at Mourinho's Wikipedia page under the honours section proves just how much of a talent the "Special One" really is.